Which Ecommerce Platforms Are The Best For Your custom website design Johannesburg? Choosing the best e-commerce platform for your custom website design in Johannesburg can be a challenging decision to make when setting up your online store. With so many options available we’ve narrowed it down to the two primary platforms used in South Africa that we can recommend. WooCommerce is an open-source e-commerce system built as a plugin on the WordPress system. It can be used for any size online shop and is easily integrated into your WordPress website. It is easy to incorporate into your corporate identity due to its customization ability. You have thousands of themes to choose from. With additional add-ons available such as payment gateways, wish lists and selling tools, you can increase the functionality of this plugin to suit your specific needs. It’s free! That’s right, there are no monthly fees for WooCommerce other than hosting an SSL certificate. While Shopify is a hosted e-commerce platform (meaning it is hosted on the Shopify server), you still have the ability to add features, customise your online store and have your own domain name. You can also have a completely custom designed store to fit in with your company brand. Shopify requires compensation on a monthly basis. Shopify has thousands of themes to choose from and can be customised to complement your corporate identity. It’s quick and easy to set up. You have access to thousands of add-on features as well as payment gateways to use in your online shop. You as the client will never have to worry about updates since it’s all taken care of by Shopify automatically. The user-friendly dashboard makes it easy to manage orders, load or remove products and add or remove features. Shopify boasts a secure hosting environment and comes complete with an SSL certificate. 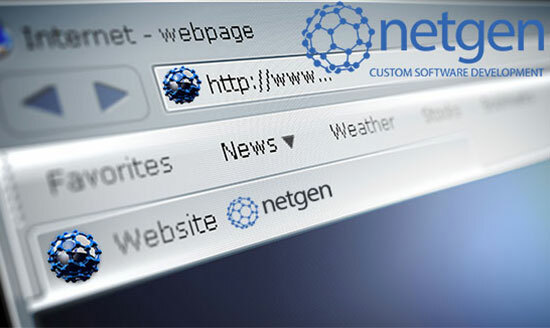 For more information about getting your online shop or custom website design in Johannesburg, speak to the team at Netgen for an obligation free quote.